Our females are the cornerstone of our operation. Our focus is producing and breedingsuperior females with sound maternal traits and easy dispositions. The cattle are raised with structure, conformation, fertility, efficiency and longevity in mind. If they do not meet these requirements, we do not keep them. Proper handling is very important to us. 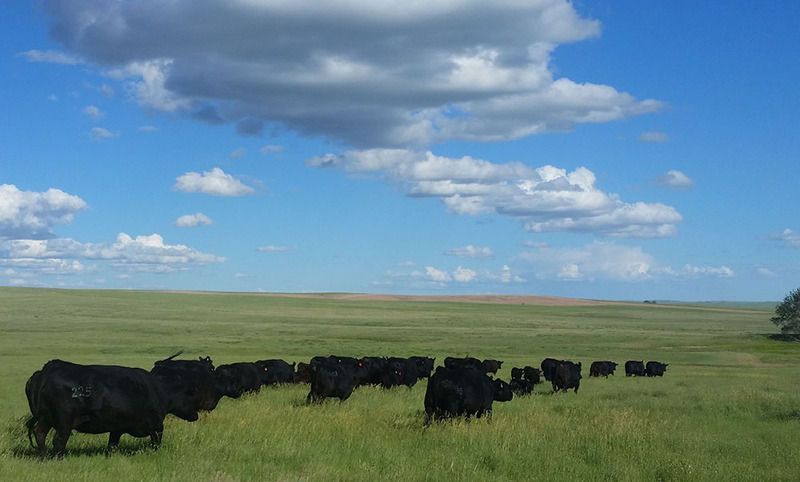 Our cows are calm and easy-going out on the prairie, in the corral and during calving. We insist that the cows are worked in a calm manner at all times. We treat our cows respectfully and they do the same to us.